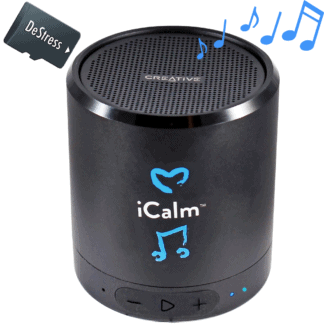 iCalm 5.0 - beautiful music anywhere you go! 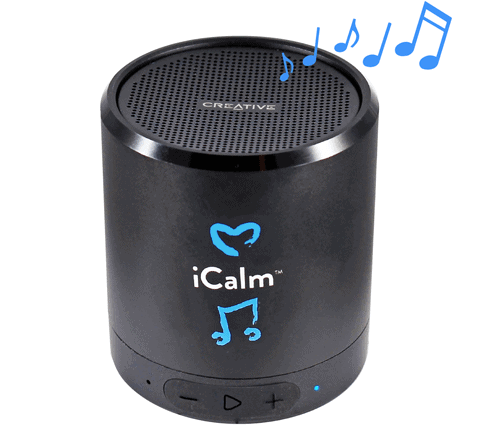 Here’s iCalm music - and a great speaker - especially for YOU! You and your pets have great synergy: they bring affection and YOU create a safe home. This creates a circle of love. Sweet! 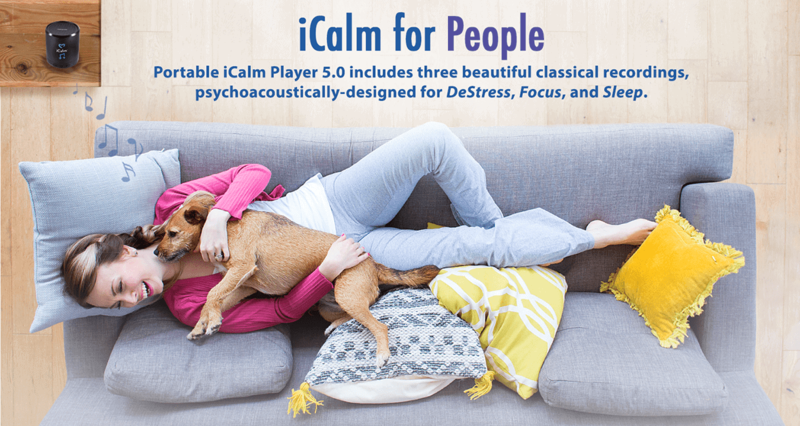 You’ve seen the amazing effects of our BioAcoustic music on your pets, now it’s time for YOU to relax! Check out our iCalm players – featuring the Creative Metallix™ speaker by Creative Technology Limited – with new music specially-designed for the human nervous system. 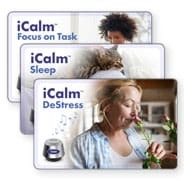 Our first three titles: DeStress, Sleep, and Focus on Task. * Thanks to Dr. Patricia McConnell for great "both sides of the leash" concept. iCalm 5.0 is infinitely expandable, with three people-specific audio programs and more on the way. DeStress, Sleep, and Focus on Task. The iCalm 5.0 is the exact same speaker for people, cats, and dogs. The difference lies in the easily interchangeable sound cards. 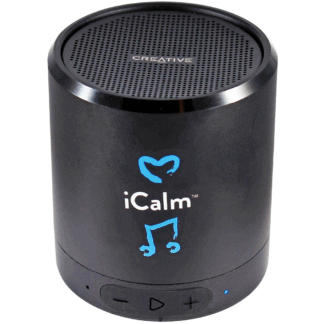 All iCalmDog/Cat audio sound cards (from Version 2.0 and up) can also be played on iCalm 5.0 speakers. Small and lightweight, iCalm 5.0 is both stylish and compact. The speaker also features Bluetooth, FM radio, as well as USB and auxiliary ports for connectivity to many other devices. The iCalm for People music programs are currently available on micro SD sound cards designed for iCalm players. You can also connect by Bluetooth and stream Through a Dog's Ear, Through a Cat's Ear, or any other music you like. "I’ve been waiting years for iCalm People Music! I love my pets dearly, but why should they have all the fun?"